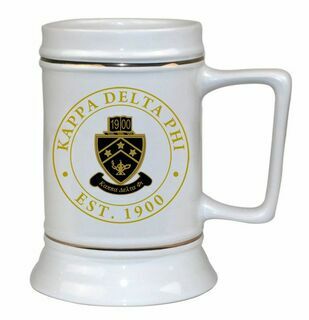 Your orange juice and morning coffee will be all the sweeter when you're enjoying it out of one of our Kappa Delta Phi Mugs, Cups and Glasses. Some of our drinkware products come with personalization options. Get yourself a nice set of glasses that come imprinted with your fraternal images. 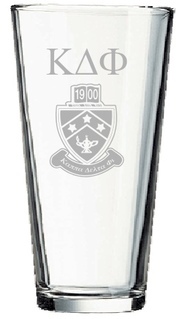 The Glass Stein is a glass that you can either use daily or put on display in your dorm room for decoration. On the front you'll see an image of the crest inside of a decorative wreath. It's perfect for enjoying your seltzer or a tall glass of ice water. 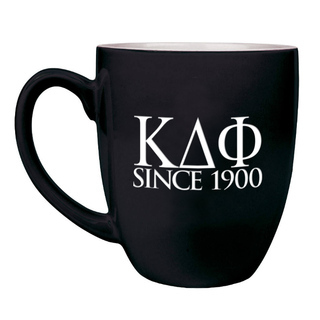 To show each chapter member appreciation for their membership, why not get a Coffee Mug imprinted with their nicknames. 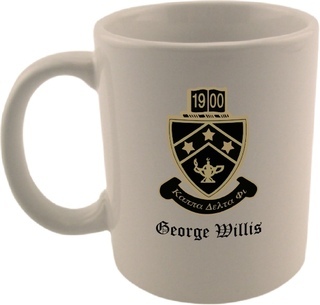 The one we sell for members of your organization has a black and gold image of the fraternal crest on the front with a space below for text in an Olde English font. A Travel Mug is also for sale here, in case you don't have time to finish your morning coffee before heading out for class. 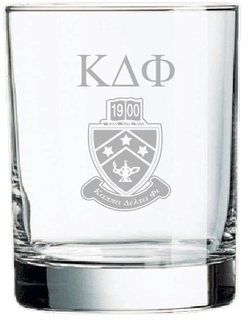 If you want everyday paraphernalia that you can incorporate into your daily routine, order Kappa Delta Phi Mugs, Cups and Glasses. 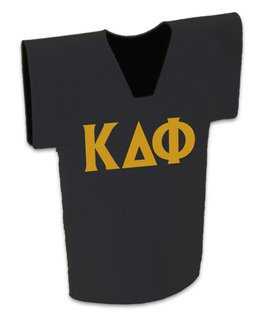 You'll also find blankets, bathrobes and other home items for KDP men on the Greek Gear main menu. 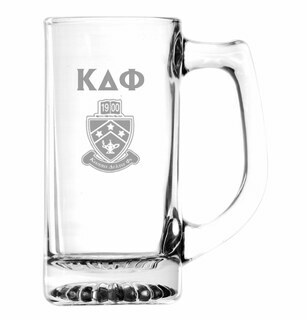 Kappa Delta Phi Mugs, Cups & GlassesThe Greatest Selection. Period.